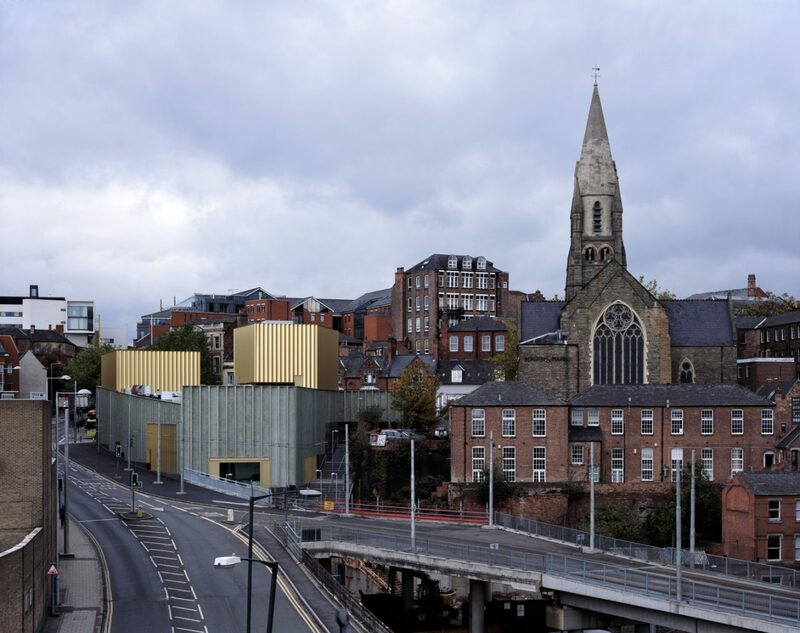 The building for the public art gallery ‘Nottingham Contemporary’ has been placed carefully within the topography of Nottingham’s sandstone cliff, linking the different levels of the city with generous routes and stairs. 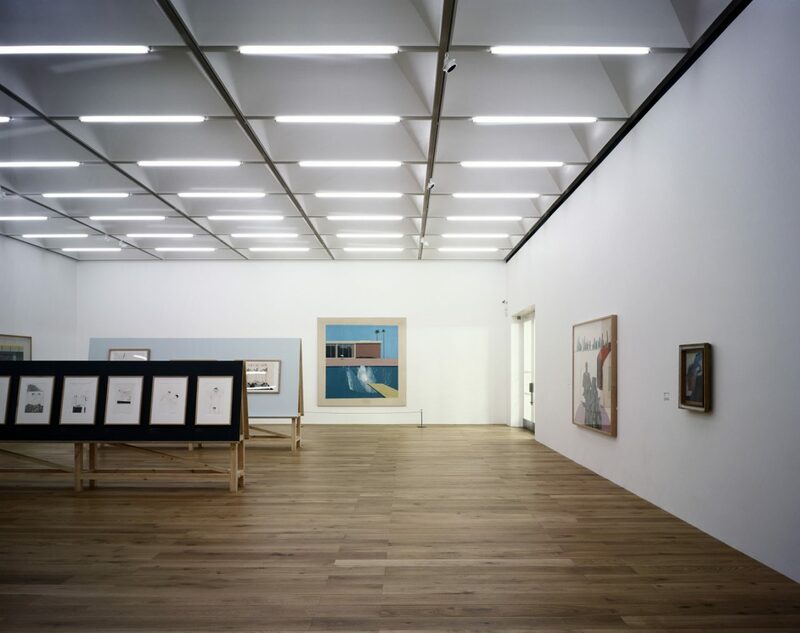 A suite of top-lit galleries on the Ground Floor sits on top of a performance space built deep into the landscape. The facade is made of precast panels which are seamlessly jointed together to form a continuous enclosure. 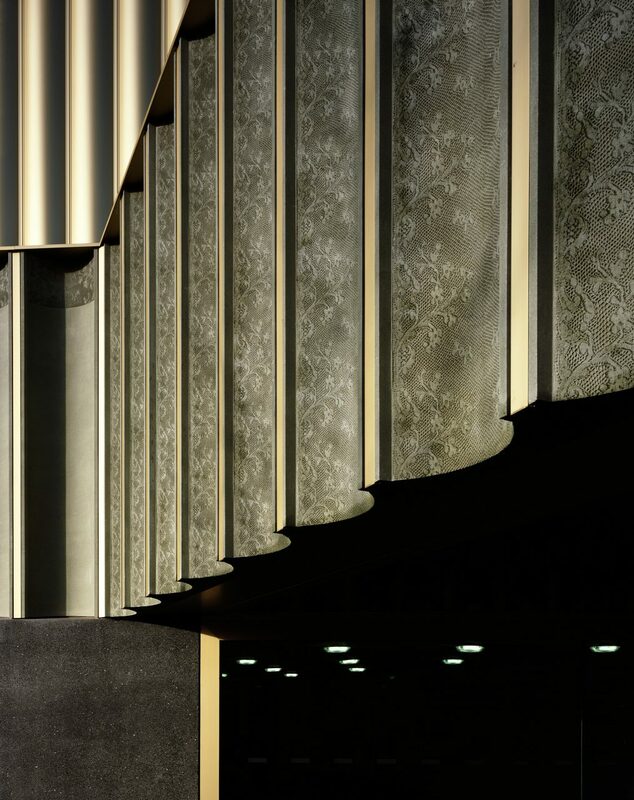 Like a fabric, this envelope is wrapped around the light steel structure and features an intricate pattern of lace fabric on it’s most prominent facades which has been cast into the concrete. Large windows allow views from outside deep into the interiors and stimulate interaction between public realm and the art spaces.